A church at Columbia Avenue and South Orange Street in Turlock was destroyed by fire early Friday morning. The American Red Cross Disaster Action Team volunteers were requested to provide canteening services to the team of firefighters. The fire at Equip Church was called in at 4:38 a.m. and portions of the 7,000-square-foot basement still were burning at 10:30 a.m., the Turlock Fire Department reported. Our team of volunteers provided coffee, pastries and water for breakfast then pizza and other refreshments for lunch. In all, 45 firefighters battled the blaze from Turlock city, Turlock Rural, Modesto, Ceres, Denair, Hughson, Keyes, Patterson and Stanislaus Consolidated fire districts. 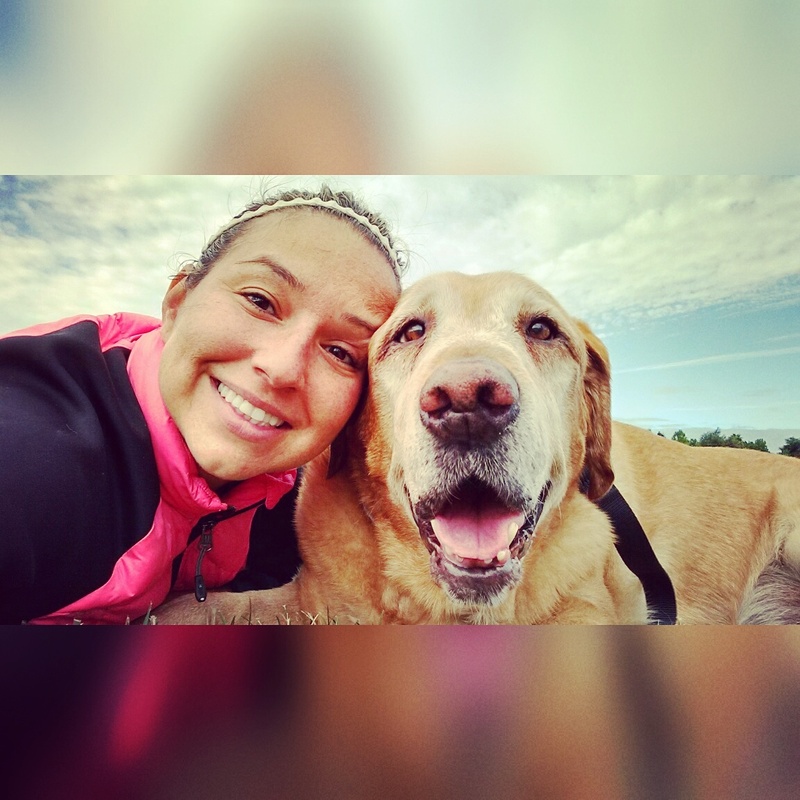 12-year-old yellow lab Woody Wyatt and his adoptive mom Lilly. Katrina. Ten years ago this month that name became forever linked with tragic scenes of devastated residents, flooded homes and businesses, harried evacuations, and heroic rescues throughout the Gulf States. Merciless in its carnage, Hurricane Katrina became one of the deadliest and most expensive natural disasters in our nation’s history. Amidst enormous disaster response efforts mounted by communities and government agencies, a simultaneous animal rescue operation was being undertaken by emergency responders and animal welfare groups from Louisiana and across the country. They mobilized quickly to save and care for thousands of companion animals imperiled by the storm. Despite the massive effort, Katrina’s devastation exposed many flaws in the way we were responding to animals during natural disasters, and groups like the ASPCA and other animal welfare responders immediately dedicated themselves to improving policies and processes to save more lives. We’ve come a long way in the past ten years, but there’s still much work to be done. Some of that work is happening right now in the state of California — no stranger to natural disasters — where the ASPCA and the American Red Cross are working to pass AB 317, legislation that will improve California’s emergency response capabilities. Current state law only allows veterinary care of animals at facilities with a premise permit, and obtaining such a permit in the midst of a crisis can create life-threatening delays. AB 317 exempts emergency shelters from the permit requirement during state emergencies, though it requires those shelters to conform to all standards of care expected of permanent veterinary facilities. Our experience during Katrina confirms the importance of these temporary animal shelters. According to a Fritz Institute poll, 44 percent of New Orleans residents delayed or chose not to evacuate the city because they refused to leave their pets behind. A similar nationwide poll by Lake Research Partners on behalf of the ASPCA found 42 percent of Americans across the country stating they would also not evacuate without their pets. With pets, owners, and emergency responders all at such great risk, accessible emergency shelters are critical to saving lives. While the rescue of animals in the initial response to a disaster is critical, reuniting animals with their owners after a disaster is equally important. In the aftermath of Katrina, roughly 15 to 20 percent of animals were reunited with their owners. Establishing emergency animal shelters near Red Cross shelters is a key component to increasing the return of animals to their families, and both the Red Cross and ASPCA strive to co-locate shelters whenever possible. AB 317 would facilitate this process by making the establishment of fully-qualified emergency shelters easier and faster. This is why the Red Cross joins us in enthusiastically supporting AB 317, which currently needs one more critical vote before heading to the Governor for his consideration. Thanks to the lessons of Katrina, animals are better protected during natural disasters now than they’ve ever been, but California can play an important role in ensuring and enhancing those protections with AB 317, which serves the best interests of California pets and people. We thank Assemblyman Brian Maienschein (D-San Diego) for his leadership in recognizing the need for this legislation, and we urge the Senate to take decisive action to pass this bill. Kevin O’Neill is senior director of government relations for the ASPCA/Western region. Christy Woods is director of state government relations and external affairs for the American Red Cross. There are no deployments on record at this time. Pillowcase Project on Fox40 News! Ten years ago, Hurricane Katrina gave birth to a wonderful project for children – The Pillowcase Project. This preparedness education program for 3rd through 5th grade students teaches about personal and family preparedness, local hazards, and basic coping skills. During the 10th Anniversary of Katrina, Red Cross chapters across the nation have been participating in the World’s Largest Pillowcase Projects to increase awareness of this unique project. The Gold Country region kicked off this event at Prairie Elementary School in Elk Grove. We were so thrilled to have Fox40 showcasing the project, the students and our volunteers LIVE on the air and later on in their evening newscast. Below you can see the piece in their 6PM News. The Red Cross Pillowcase Project began in New Orleans after the disaster, where volunteers reached out to children in the community who remembered Katrina’s fury and remained afraid of storms. The Red Cross took the lead in talking with them about disasters and loss, about rebuilding their lives starting with a pillowcase and a plan. Children began to feel the strength that comes from being prepared. In the past 10 years, the Pillowcase Project has expanded to hundreds communities across the United States to help children better plan for their future. And it all begins with a pillowcase. In the Gold Country Region, we have shared the Pillowcase Project with more than 3600 students. Check out pictures from the day on our Flickr Album. Posted on August 26, 2015 Author Gold Country CrosswordsCategories UncategorizedTags American Red Cross Gold Country Region, Children, Coping, disaster relief, Disasters, Education, Pillowcase Project, Preparedness, red crossLeave a comment on Pillowcase Project on Fox40 News! Saturday, Aug. 29, 2015, will mark the 10th anniversary of Hurricane Katrina. The storm destroyed much of the Gulf Coast including Alabama, Louisiana and Mississippi. In remembrance of those who lost lives, to recognize the resiliency of those who survived Hurricane Katrina and its aftermath, and to honor the volunteers who facilitated recovery, the American Red Cross is creating the World’s Largest Pillowcase Project on or before Saturday, Aug. 29. Hurricane Katrina highlighted the need to create better prepared communities. An initiative born in post-Katrina New Orleans, “The Pillowcase Project” of the American Red Cross teaches children how to prepare for emergencies, practice what they have learned, and share their knowledge with family and friends. The Gold Country Region has been educating children in the 24-county region since 2014 and to date we have reached more than 3600 school aged kids! This 10th anniversary of the devastating hurricane, we will share the message of preparedness one week leading up to August 29th at Prairie Elementary School located in Elk Grove. We will be holding not one, but seven disaster preparedness workshops to increase awareness of this unique children’s project, reinforcing the importance of disaster preparedness planning. Red Cross New Orleans CEO Kay Wilkins had learned that Loyola University students carried their valuables in pillowcases when they evacuated for Katrina. This inspired Wilkins and her team to work with an art therapist to create a program around decorating pillowcases for the children living in makeshift communities across New Orleans during Katrina recovery. Soon, their Pillowcase Project became a preparedness education program for elementary school students. 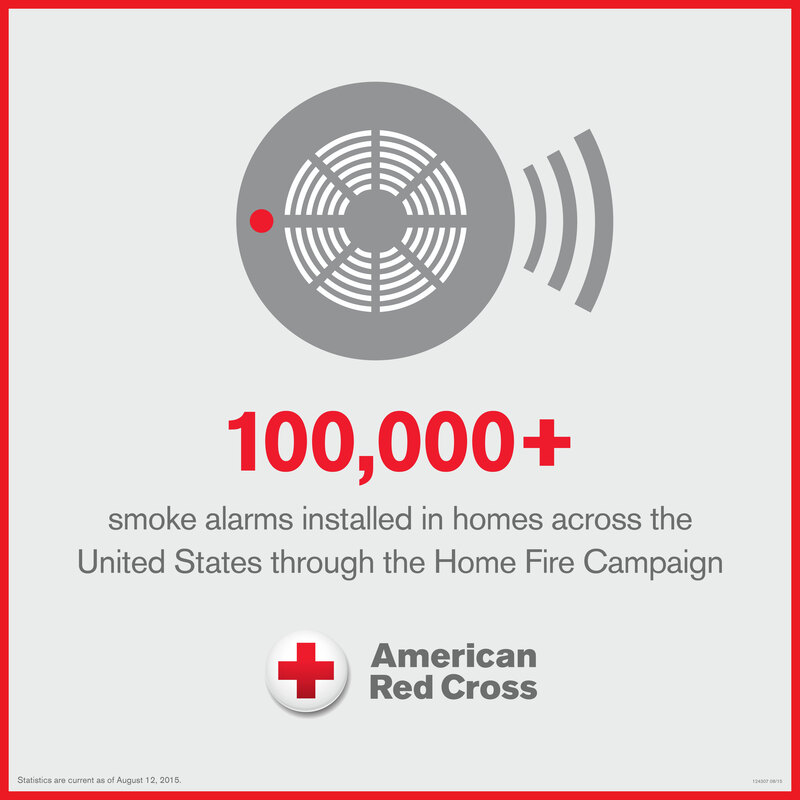 After just a few years, several other Red Cross chapters adapted and implemented the program with substantial success. In early 2013, the Walt Disney Company funded the design and development phase of a multi- year effort to build on this success by creating a standardized, state-of-the-art preparedness education program. The Pillowcase Project is now customized for use by Red Cross chapters across the United States and internationally reaching hundreds of thousands of elementary school-aged children in the classroom and in after-school settings. 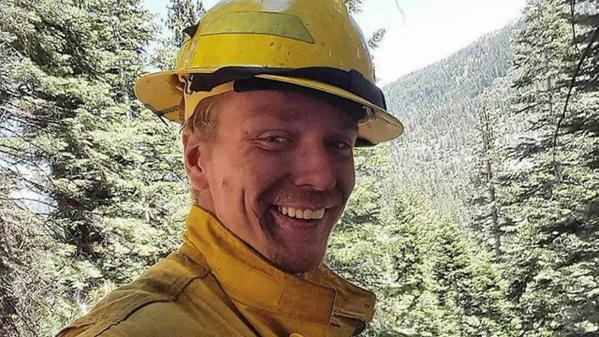 Some of you may have heard about the unfortunate passing of Shingle Springs firefighter Michael Hallenbeck who died fighting a lightning –caused fire south of Echo Summit on August 8. I knew Michael or Mikey as he was called. He was a great kid… light-hearted and fun to be around. It is a tragic and sudden loss for his family and for our community. Last week, the Red Cross was invited to support the procession for the 21-year-old fallen hero by Georgetown fire Chief Schwab. We were honored and said yes right away. The procession was held on Thursday, August 13 and American Red Cross volunteers and staff were happy to be there and offer canteening support with coffee and danishes at the stating areas for the procession in South Lake Tahoe and brought some of our Emergency Response Vehicles to showcase how much we care. Thanks to the Placer and Sacramento DAT Teams as well as the El Dorado County Amateur Radio Club that Mikey’s father is a member of for coming out and demonstrating gratitude and solidarity to this local hero and his family.